There are more than a hundred movies for horse lovers. After all, horses are among the most loved animals. They are friendly and very useful to us. They have been helping humans with a lot of tasks. In fact, there was a time when they provided us with the main source of transportation. Their usefulness is not the only thing that makes them dear to us. The way they are formed and their movement are so beautiful that one cannot help but admire them. Some people may not understand it but these magnificent creatures have a lot of attitude, grace, and character. Their majestic nature inspired a lot of stories and films to revolve around their life and that of the people who take care of them. Here are 5 of the best movies for horse lovers out there. This is a 2011 film that tells the story of the special bond of love and friendship between a man and his horse. 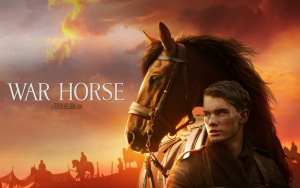 It is set during the World War I. Joey is a bay thoroughbred horse raised by Albert, a British teen. When the horse was bought by the British Army, it was able to encounter a lot of individuals and owners across Europe. The horse was not sheltered from the harsh effects of the war. This is a 2003 film that revolves around the life of a real horse named Seabiscuit. Although an undersized horse, it was able to perform well as a racehorse – amidst a lot of criticism. The film was based on the nonfiction book by Laura Hillenbrand, Seabiscuit: An American Legend. The movie mainly covered his life as a race horse and the unexpected successes that made him an inspiration and a media sensation during the depression-era. 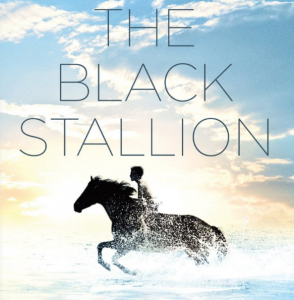 The 1979 film is based on a classic novel for children, The Black Stallion, written by Walter Farley. It follows the story of Alec Ramsey, a young boy shipwrecked on an island with an Arabian stallion. Both of them are forced to coexist and bond to survive. The story tells of their rescue and their attempts to prepare for the fastest horserace that challenges two champions. This is a 2010 film that was produced and released by Walt Disney. It relives the life of Secretariat, a thoroughbred race horse who won the Triple Crown in 1973. The film tells the story of how his owner, Penny Chenery was able to win the horse and their journey as they try to win a Triple crown – a feat that was not done in 25 years. The 1994 American film is an adaptation of an Anna Sewell novel of the same name. The story is told by the horse and it set in England during the 1870’s. 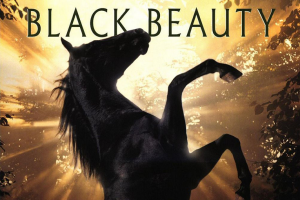 It is about the stallion named Black Beauty. It narrates the story of how this horse was born on an English farm in the countryside. It follows the horse as it was passed on from one owner to another – oftentimes being subjected to abuse. It ends on a good note as Black Beauty was reunited with an old friend – the one who cared it as a young horse. These are only a few of the movies for horse lovers. There are even those with a comical twist and or animated to make it appealing for kids.